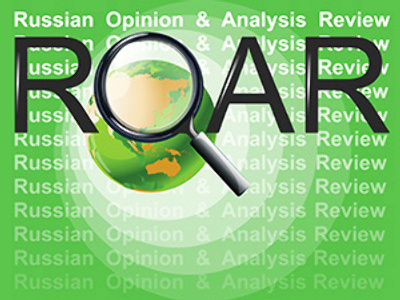 This Wednesday ROAR offers a Russian Deputy Minister’s and a European Commission Chairman’s views on the G20 summit, and an opinion on the idea of Russia’s NATO membership. ROSSIYSKAYA GAZETA’s issue of March 31 published an article by Deputy Minister of Foreign Affairs of Russia Alexandr Yakovenko, who writes that the current global economic crisis uncovered serious faults in the existing system of the world economy and showed clearly that there is no alternative to a multi-polar political and economic structure. The author writes that globalization is an objective and natural process which cannot be stopped or reversed, and that is why the globalizing economy needs more than one pillar, more than one reserve currency, and more than one industrial and financial center. It also needs a fair system of wealth distribution. All that cannot be achieved by the usual pursuit of national interests by the leading powers – all that requires research and regulation based on that research. For this role, says the author, regional UN Economic Commissions are the best choice. The European Economic Commission of the UN (EEC UN), he says, is the only existing universal mechanism of economic interaction in the pan-European space. The Commission, created in 1947 has been for 60 years working as a tool of the UN in social and economic development in Europe. The author says it has made a significant impact on the development of such spheres as communications, energy, transport, trade, statistics, environment protection, housing and land development. Apart from that, the Commission performs global functions in setting standards for commercial trade, transport, agricultural products quality and etc. The author thinks that the experience and the well-established working patterns of the EEC could play a significant role in tackling the current crisis, and that the Commission as a whole could become an important instrument in the world community’s struggle to overcome the crisis. The author says that in his opinion the European Economic Commission of the UN can also suggest useful strategies and solutions for the agenda of the G20 in London and suggest more strategic ideas to the everyday work of the institutions which the G20 will entrust to implement its global policies. In NEZAVISIMAYA GAZETA, Chairman of the European Commission Jose Manuel Durao Barroso writes that Europe believes that the London meeting of the G20 will find ways to overcome the current global economic crisis and prevent further crises from happening. 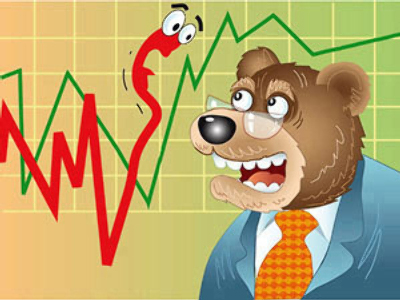 The writer says that the current crisis, being the first crisis of the era of globalization, is seen by some as a sign showing that globalization is wrong and that de-globalization is the only way to help the world out of recession. He says firmly that such position is counterproductive and has nothing to do with the realities of the world economy, and that de-globalization, as well as protectionism and economic nationalism which are born of it, are all ‘false friends’ of the world economy because they, in turn, bear poverty and create conflicts as humankind has seen in 1930s. Mr. Barroso writes that tackling the global crisis requires the creation of a global set of rules that would allow us to control and direct the process of globalization. Such a set of rules can provide us not only with a tool to rule and direct the process itself but the means of improving the potential of the world market and directing it to the needs of citizens, to the solution of such global problems as climate change, energy security and eradication of poverty. These rules, continues the author, must combine freedom with responsibility and solidarity. They also must provide that the markets, including financial markets, would support and promote hard work and initiative instead of monetary speculation. The European Union, says Barroso, is always prepared and ready to become the driving force of globalization, based on its values and the suggested rules. Today, he writes, the EU comes to the G20 summit with a well-prepared program containing everything from a new increase in the funds of the International Monetary Fund (up to 75 billion euro in additional funds) to a definition of the four main aspects of crisis management. The EU, according to Mr. Barroso, defines four such aspects: 1) the re-launching of the real economy; 2) the restoration of trust in the financial system and re-establishing of credit; 3) spreading the notion of total unacceptability of any kind of protectionism in the economy; 4) achieving a fairer world by realization of our obligations before the developing countries, especially our obligations in regard to wider representation in the IMF. The author says that the views of many members of the G20 (not necessarily European members) are very much alike, so he hopes that the London summit will be, first and foremost, an opportunity for the members of the G20 to turn their good intentions into collective action. GAZETA analyzes the recent suggestion by the Foreign Minister of Poland Radoslaw Sikorski, that an offer of NATO membership should be made to Russia to ensure a more stable European security and give Russia an additional stimulus for democratic development. The paper says that the most probable reason behind such a suggestion by a Polish politician, who has always been one of the staunchest critics of Russia, is the fact that he remains the main candidate for the post of NATO Secretary General, nominated for it in the times of the Bush administration. The new administration is not as fond of the Polish minister as the previous one, as it doesn’t need a NATO Secretary General who picks a fight with Russia every once in a while just for the fun of it. The paper says that Mr. Sikorski is simply trying to secure his candidacy by demonstrating his loyalty to the policies of the current administration, including the policy of improvement of US-Russia relations.